Joy comes in a lot of forms, especially during this time of year. As a teacher there is nothing that brings me more joy than being able to combine teaching standards and concepts with creativity. Teaching children to write with detail and explanation is sometimes difficult, and it doesn't help that they have Sugar Plum Fairies dancing through their heads right now! 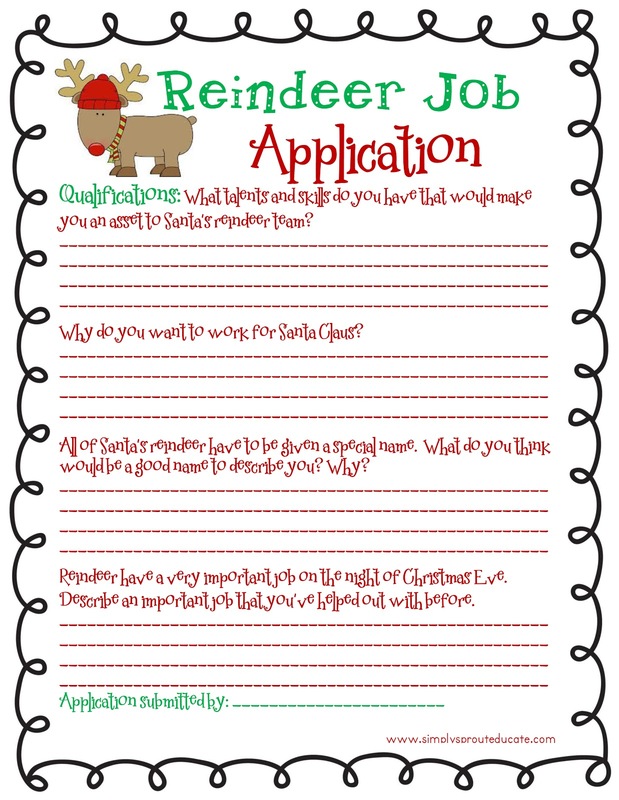 Recently I have seen some great teachers make a fun lesson from having students fill out a reindeer application. Right click on this one and paste into a Word document. 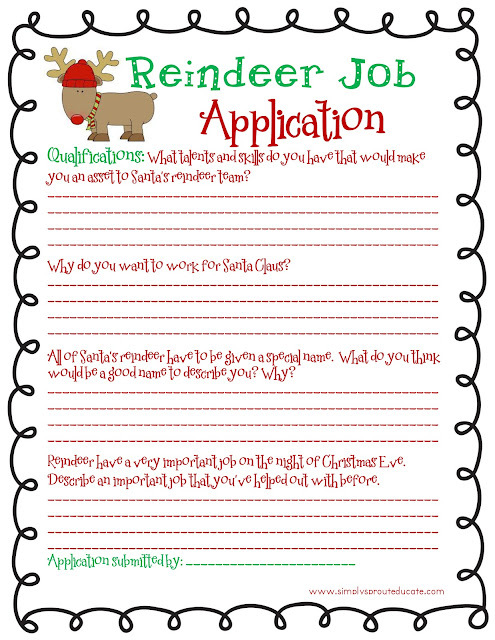 Tomorrow we will be featuring some reindeer crafts to go along with this application to make a cute bulletin board! Love it! What a creative idea!